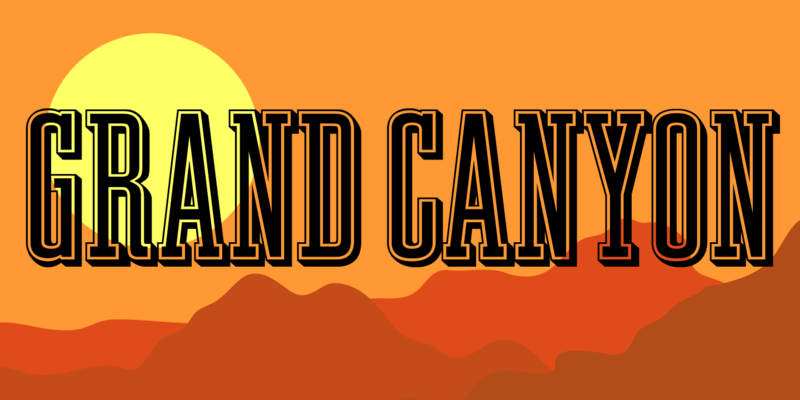 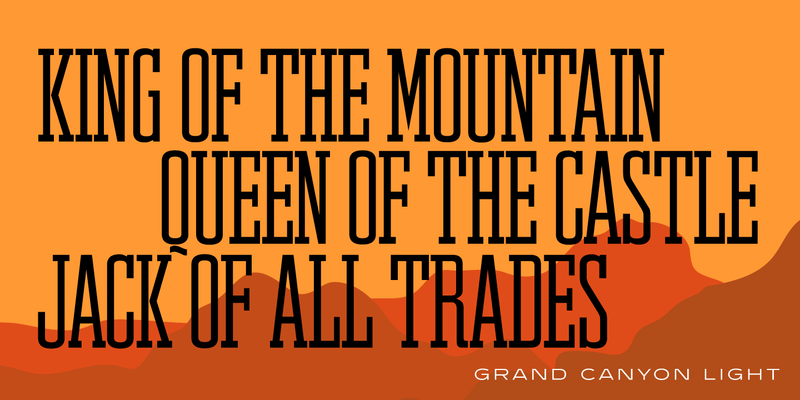 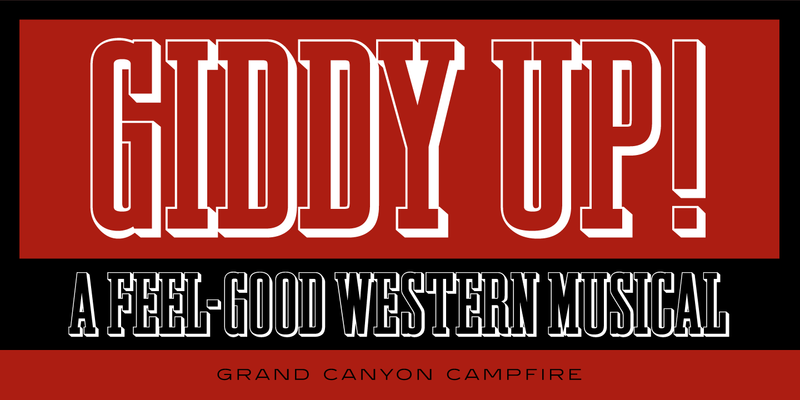 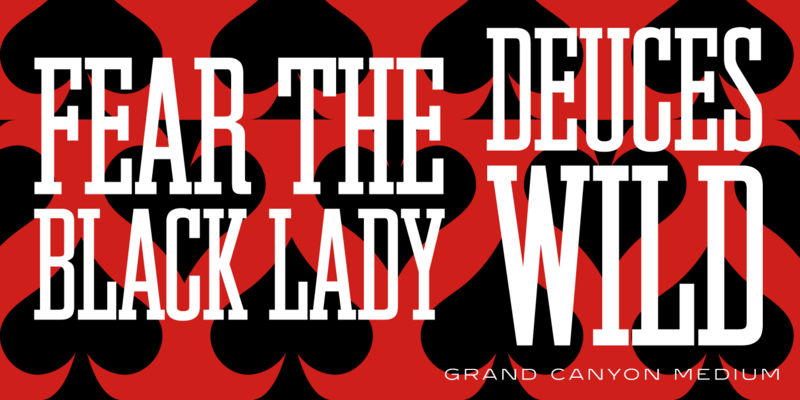 Grand Canyon is a compressed Egyptian serif font family, and was created by Steve Jackaman (ITF) in 1998. 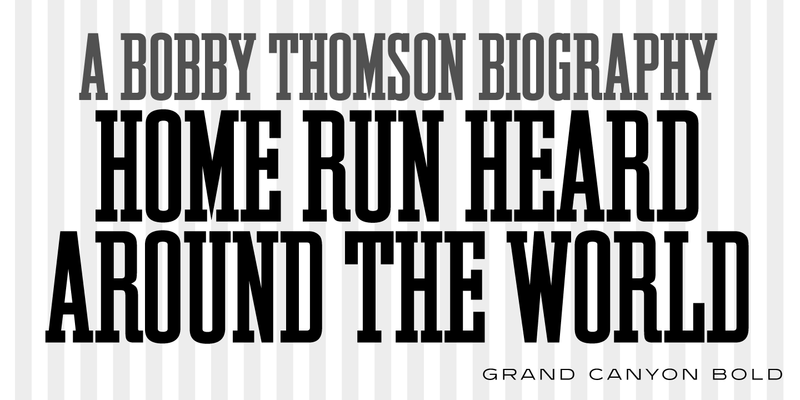 It is an original design based on early wood type specimens, and has branched off into numerous variants over the years. 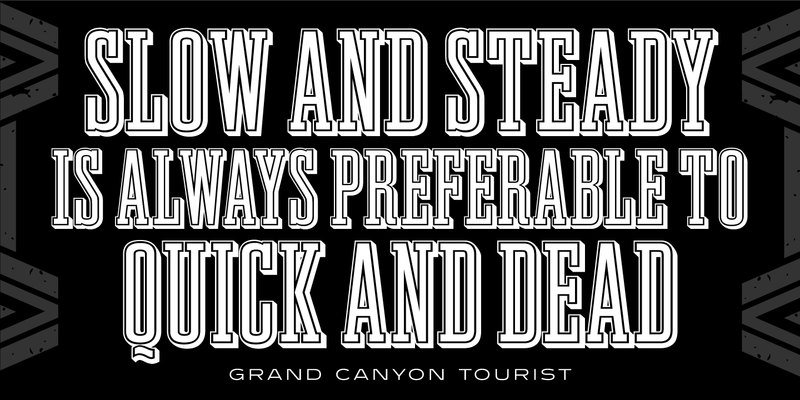 Much like its namesake, Grand Canyon is built for any project that is looking for some grandiosity and ruggedness. 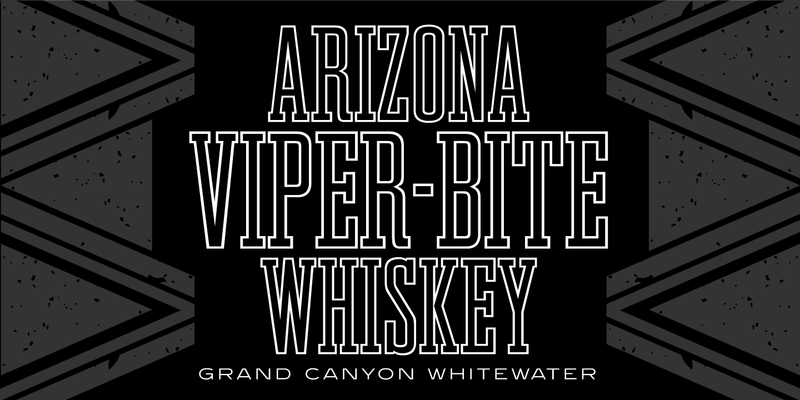 Each weight is named after things you might find in the Arizona wilderness, including a little radioactivity. 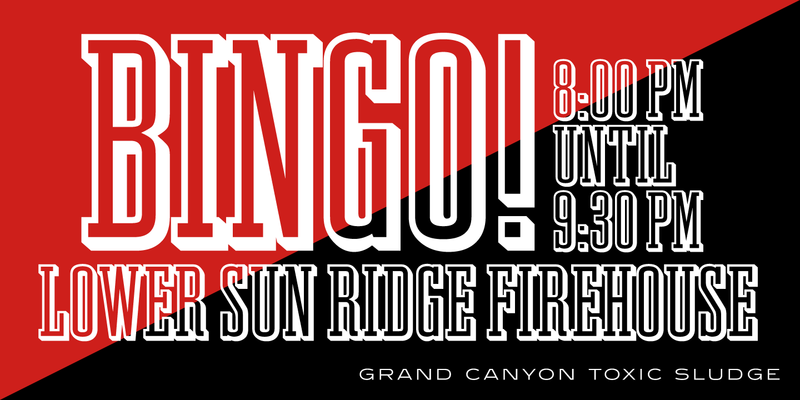 Its sister family, Los Alamos, shares the boldness of this all-caps font. Grand Canyon is a trademark of International TypeFounders, Inc.